This 4’x4′ bus shelter will keep you warm and dry waiting for the school bus. 4’x4′ in size and made with LP Smartside primed engineered plywood. 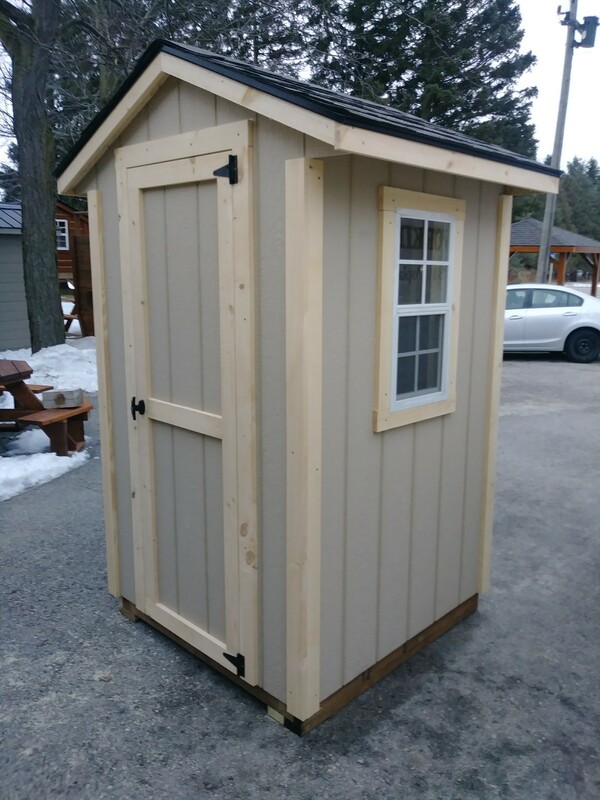 Comes with asphalt shingles, 24″ door and 2 aluminum windows with screens.